Dictionary of Scientific Principles presents a unique and timeless collection of (almost) all known rules or laws commonly called principles, identified throughout the history of scientific development, their definition, and use. 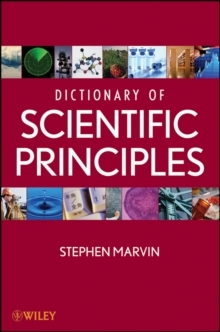 Exploring a broad range of disciplines, the book first lists more than 2,000 principles organized in a standard alphabetical order, then provides a list of subject headings for which related principles are identified. A staple addition to every library, the dictionary will also be of interest to scientists and general readers.